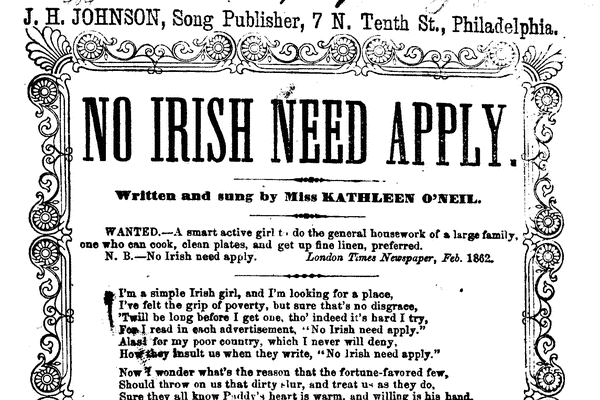 The song, No Irish Need Apply was first printed by stationer and printer J.H. Johnson at 7 N. 10th Street in Philadelphia around 1862. 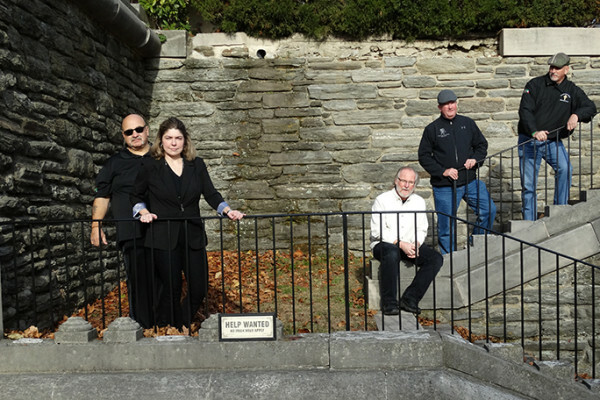 The song was supposedly written and performed by young Kathleen O’Neill at the age of 10 years old. Kathleen was born in New York to Irish immigrant parents and would have witnessed anti-Irish discrimination in the many ethnic neighborhoods in major cities like New York, Philadelphia, and Boston. Many historians argue the actual posting of “No Irish Need Apply” signs throughout the east coast of America. Regardless, they all agree that whether or not the signs actually existed, there definitely was anti-Irish discrimination being carried out by employers during the 19th and early 20th centuries. Fáilte (Welcome) to Our New Website! © 2015 No Irish Need Apply.